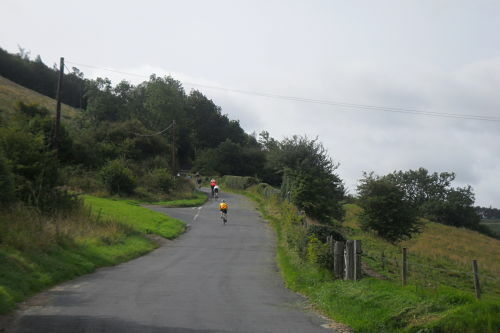 To get to the foot of the climb first you must get to the village of Hawnby. You can do this one of two ways, the best way is arguably by taking the great road across the moor from Osmotherley. 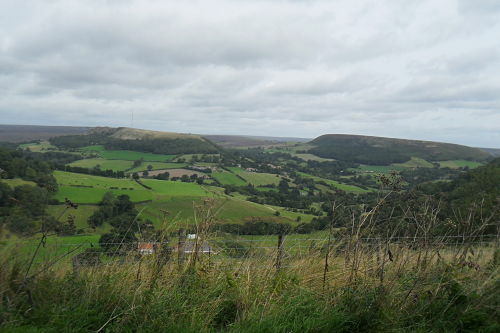 But it is also possible by taking the road down Bilsdale then take the right turn before going up Newgate Bank taking on the challenging little road that takes you on a descent of Ladhill Beck Bank before the sharp little 25% climb into Hawnby. 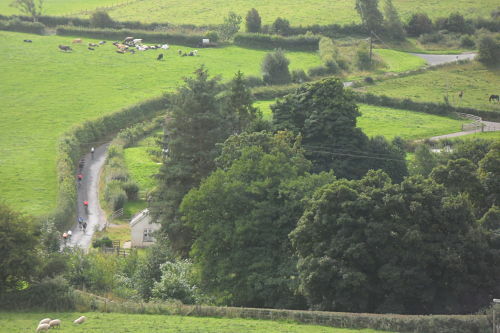 Now you take the steep descent out of the village to the foot of the climb. There is no flat round here! On the descent towards the foot of the climb you can see it rearing steeply upwards at around 15-18% and it does look pretty fearsome as it heads up to the rock climbing area of Peak Scar. A twisty section at the foot of the approach takes you over a small bridge and it doesn’t mess about this climb as you are straight into one of the steeper sections. Although steep at the bottom, before levelling off, this steep section is way too long to attack it. Instead find a manageable pace. After a short while near a left turn the slope eases momentarily to around 8%, then it rises again to maybe 15% just past the 25% sign before easing to just a few percent at the half mile point. This is the crucial section, just grind your way up. Eventually the slope eases and if you look to the right you have a great panorama of this area of the moors, including a superb view of the impressively shaped Hawnby Hill. It’s difficult to say where this climb ends, the real work ends at half a mile but then it goes on for another mile at slight gradient before flattening off completely. 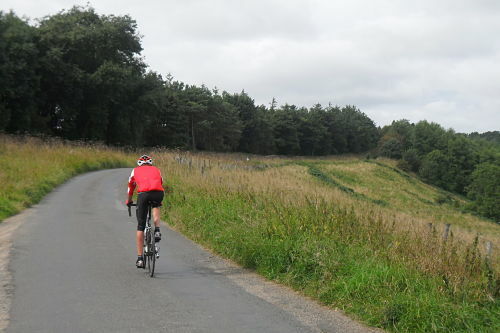 A few hundred metres further on it rises again making the going tough before eventually levelling again as you reach the junction at the top of the Boltby Bank climb. A great descent this all the way from the top of Boltby Bank, remember though it gets really steep at the bottom and there is a sharp left at the bridge. Although not a busy road it does carry a fair bit of traffic at times and is narrow in places so care is required. Not enough to keep Dave happy! It is fenced or walled throughout. The hardest section of sustained steepness just after the left hand turn, weaving will start soon! 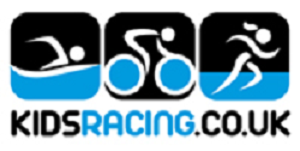 Club Run – We gave it a mean average of 6. It had some riders digging deep at the bottom and I saw a bit of weaving across the road going on. Mick’s chain snapped but that’s probably more of a reflection on his bike maintenance (or lack of) than the severity of the climb! A tough climb nonetheless.